The UIC men's soccer team is taking on Michigan State in a huge game on Friday, September 5th at Flames Field! The 2013 Horizon League champion UIC men's soccer team is ranked 24th in the nation. The team faces its biggest test of the young season this Friday, September 5th at home against 7th ranked Michigan State at Flames Field. Kickoff is set for 7 PM and the Flames need your support! General admission tickets are only $7 each. All tickets can be purchased at Flames Field upon arrival. UIC students are free with a valid I-Card. #24 UIC Soccer vs. #7 Michigan State - Friday, September 5th - 7 PM - Flames Field - directly behind the Physical Education Building at 901 W. Roosevelt Rd. 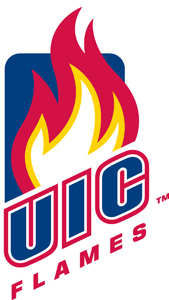 For more information on UIC Athletics, visit www.uicflames.com.